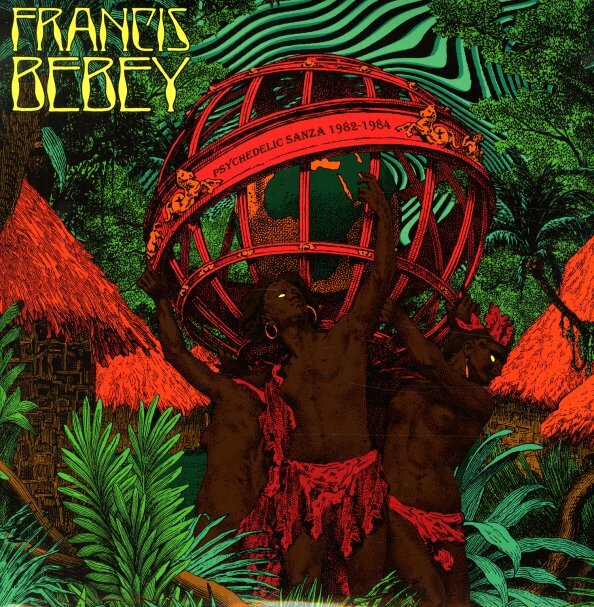 Totally cool, totally amazing music from the enigmatic Francis Bebey – a contemporary on the early 80s African scene of William Onyeabor, and an equally experimental artists! Bebey used a fair bit of electronics, but often with sounds that had acoustic roots – in this case, the ultra cool sansa, which is a similar thumb piano to the kalimba – amplified here in really great ways, and mixed with some moody, dark elements throughout! The music has much more of a 70s vintage than you'd guess from the dates on the record – thanks partly to the raw percussion, and very offbeat production – which sometimes is mellow, sometimes bursts out in these shocking waves of sound. Titles include "Sanza Tristesse", "Forest Nativity", "Sunny Crypt", "Ngoma Likembe", "Guinee", "Di Saegi", and "Binta Madiallo". © 1996-2019, Dusty Groove, Inc.